I have lived in Thundersley for the past 25 years but was born in Nevendon, Essex in April 1943. 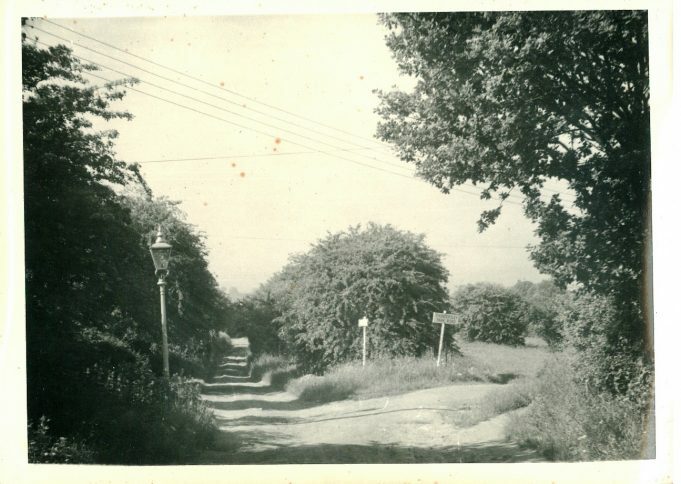 When I was six months old my parents moved to Hill Road, Benfleet. I have many happy memories of my childhood days there. The first picture shows a street party held to celebrate the Coronation of Queen Elizabeth II in June 1953. The assembled guests are families from the area near to Bread & Cheese Hill. 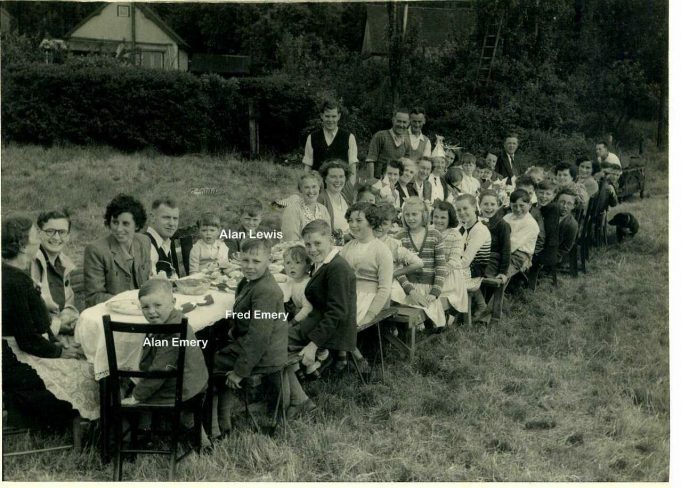 My brother Alan and I are at the front of the picture and just behind is our friend Alan Lewis. I recognise other faces in the picture but cannot name them. If any reader of this article can help, please do so via the comments section at the bottom of this page. One of my earliest memories is ‘helping’ my dad to build a fire in the garden of our bungalow in Hill Road. I was probably about 6 years old. My dad lit the fire but left me just for a moment to go back indoors. Somehow I managed to set the garden alight. I did the same thing again some years later but this time it wasn’t an accident. I was about 11 years old and had got hold of some matches. With the help of my friend Alan Ransom who lived in Kenneth Road, Thundersley, I set light to the field outside our bungalow. I remember running away and hiding in the bushes. My parents had to call out Hadleigh Fire Brigade. I heard my parents calling me but I stayed hidden. They were worried about my safety but I was worried what would happen to me when I was found! As a young boy I spent a lot of time with Alan Ransom. He was four years younger than me and was friends with my brother Alan. We did get up to a lot of mischief as boys of that age usually do. We used to have great fun going over to Bread & Cheese Hill, armed with mud bombs and water bombs. The trees used to overhang the London Road and Alan and I would climb into the overhanging boughs with our bombs. We waited for charabancs taking Eastenders to Southend for the day and when we saw a coach coming with an open roof, we waited until it was passing beneath us and dropped the bombs. You could hear the people screaming! 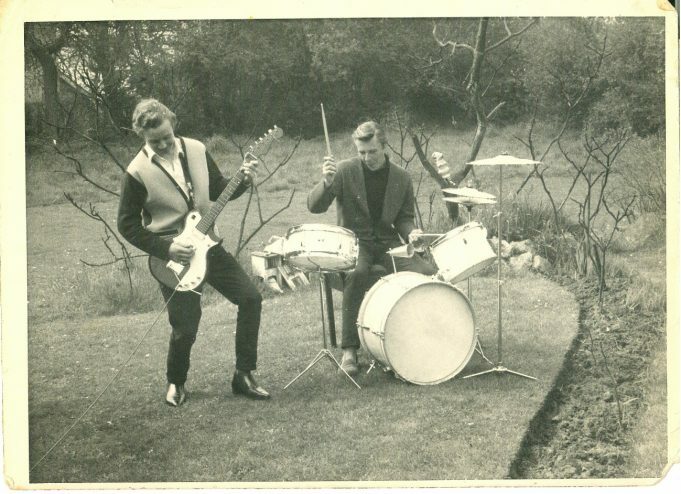 We often played in the woods. When the weather permitted we would go to Jasper’s Pond in Thundersley Glen and slide across the ice. Many times the ice would break but the pond was shallow so we only had cuts and bruises and got rather cold and wet. 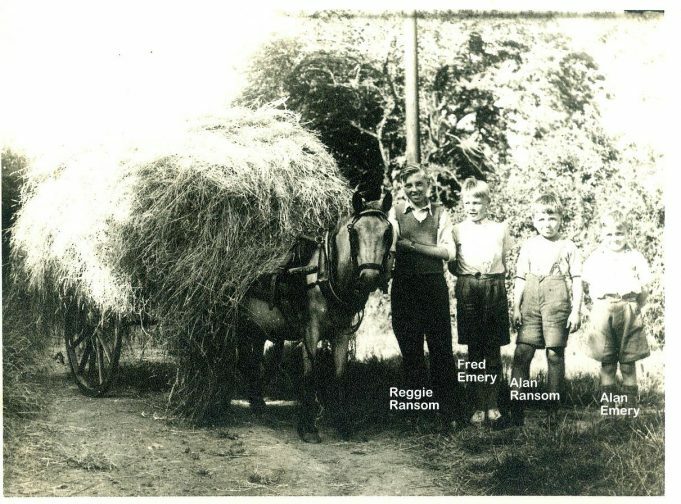 Alan Ransom had a brother called Reggie and their father, who I think was called George, had a smallholding just off Lime Road, near to where I lived. Mr Ransom had cattle there which I used to help feed. He would cut the hay in the field outside the bungalow where I lived and use this to feed his animals. Alan Ransom, his brother Reggie, my brother Alan and I, helped with this. The picture shows us with the fully laden cart, ready to take to the smallholding. We also spent a lot of time at the ‘Devil Steps’. We played there for hours and hours Local folklore told that if you were going down the steps, when you reached the 12th step, the Devil would appear. I still played there in spite of this. 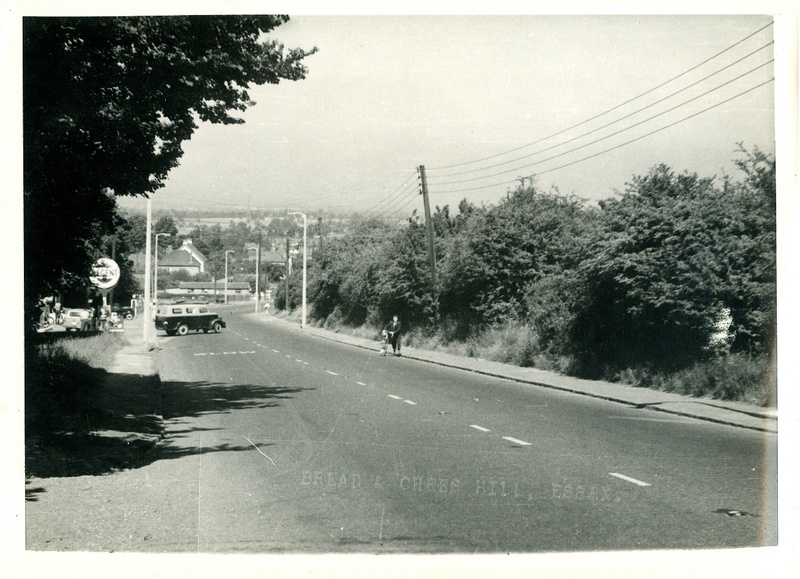 At the top of Thundersley Park Road, where it meets the London Road there were two small shops, one on either side. One was owned by Mrs Atkinson and the other by the Jordan family. As a small boy I often went into Mrs Atkinson’s shop with my mum. I remember that everything was weighed out in pounds and ounces. It was like Arkwrights store. Sometimes Mrs Atkinson had to go into the back of the shop and when my mum wasn’t looking, I pinched sweets from the display. I don’t think my mum ever knew. Other days we would go into the Jordan’s shop. Our neighbour in Hill Road, Betty, often asked my mum to buy her Players Navy Cut cigarettes for her to save her going out and we went to Jordan’s for these. The Jordan’s had two children, I think called Bronwyn and Garfield. The shop was always dimly lit, probably by gas lamps and the floor was covered in sawdust. They kept chickens out the back but you would often find that they had escaped from their run and were roaming out the front of the shop. My dad, Harry, had a friend who owned a shop in Benfleet High Road. Vic Barnes shop sold all sorts and in my teenage years I went to Vic’s shop and bought a 2.2 air rifle. I then went to the Police Station and got a licence. I needed the rifle and licence to earn some pocket money. Near to the junction of Lime Road/Hill Road there was a pig farm and the farmer had rats in the buildings. He offered me threepence for every rat that I killed for him. I did this for the money. At home I practised in the garden by shooting at tin cans but one day I accidentally shot a robin. This upset me so much that I put the gun down and never used it again. I went to King John School as a teenager and enjoyed my years there. I particularly loved sport. I remember my form teacher, Miss Marsden, who taught English. My classroom was in the ‘rubber’ corridor, third wing, top floor. I recall Mr Evans, affectionately known as Fritz but I don’t know why we called him this. I also recall Miss Boon, the Deputy Head, a formidable woman. Our R.E lessons were given by Mr Blaker. He was a lovely man and if you asked him about the Merchant Navy (which we often did), you could guarantee that he would talk about his days in service rather than give you the R.E lesson you were supposed to be enduring. Mr Beddow was our music teacher and he had a cupboard with plimsoles in. If you were naughty he would ask what size shoe you took, he would then select that size shoe from the cupboard and ‘slipper’ your backside with it. In spite of many ‘slipperings’, I enjoyed my days at secondary school. When I left King John School around 1958/59 my first job was at Sunnymede Nurseries in Thundersley. I helped with the potting up of plants and also in the small shop selling vegetables. I stayed for around a year and then became a porter at Benfleet station. I served under station master Mr Johnson. There were two shifts available, 6am – 2pm and 2pm – 10pm. I worked the early shift and my duties included cleaning all the brasswork on the station and the toilets and every morning I had to light the fire in the station master’s office. I worked there while steam trains were still running on the line and left just as the structures were being installed for electrification. I then moved to a job with builders, A.C Barvis at Manor Road. Shortly after this I moved to Leigh-on-Sea. Further information has come to light since this page was first published, regarding the people in this photo. Please click here to see this photo with the addition of many more names. Alan on guitar, Fred on drums. The clothes are typical of the early 1960s, including winkle picker shoes. Fred at home after helping his dad with the gardening. Bread and Cheese hill. Yes, I remember it well. 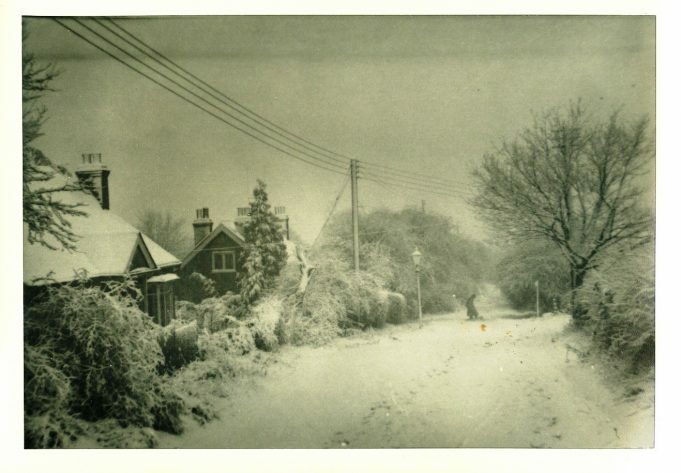 In 1939 my parents with myself (aged 1) moved from Southend to Glenmere Park Avenue, Thundersley. 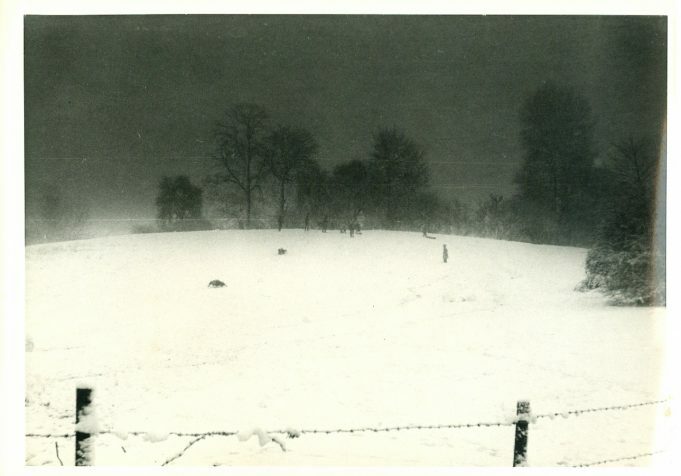 I think that it was around 1947/48 that my younger brother and I went sledding on Green Hill and the big thrill was to build a snow ramp and soar over a bomb crater left over from the war. Other memories of my youth? Going to primary school in Hadleigh in 1944/45. When the air raid warnings went off, we had to quickly gather all of our books etc and head across the playground to the underground shelter. When the “All clear” sirens sounded, up we would go and be really disappointed as thd school was still standing. After the war, Dad worked as the Manager of Green’s grocery at Tarpots. My Godfather, Bert Christmas, owned the butchers shop just a few shops away. I helped him pluck chickens one year. I’ve hated chicken feathers ever since. I also went to King John school, but then it was known as Benfleet Secondary Modern school. The building was started before the war, but construction was halted until a few years after it. In 1945/46 we used to play inside the unfinished structure and go under it where all the pipes were. It was dark and scary but that didn’t deter us. Just increased our imaginations and made it more exciting. The 1953 Canvey Island floods had a connection to the school. It was one of the places used to house the displaced residents of the Island. It was my last year of school, and being a prefect I was called in to help distribute clothing and food. I remember the Princesses Elizabeth and Margaret coming to comfort the unfortunates. I also remember Mr. Beddows, the music teacher. He caught my girlfriend Stella Bayley and myself kissing each other in the prefects room. No slipper punishment, but a severe “talking to”. Unbelievably, in 1995, my wife and I went back to the U.K (we live in Canada) and, out of curiosity we visited the school . In the entrance two men were chatting, so I introduced myself and enquired as to who they were and asked if it would be possible to have a brief tour. The younger of the two said he was the Headmaster and would be glad to arrange a tour. The older gentleman was Mr. BEDDOWS, who was now retired and just happened to also be visiting. I could go on with more memories of my youth spent in Thundersley, Benfleet, Hadleigh and the surrounds, but enough said already. I also went to Kings Johns [ 1961 ] and reading the paragraph about your time there brought back memories, ‘Fritz’ Mr Evans, Miss Boon but mostly Mr Beddow, he caught myself and a friend ‘playing around’ in class, we received the slipper treatment which was not as bad as the cane…It never did me any harm except I can never wear slippers to this day …[ tongue in cheek ]. Being an August child I was the youngest in the class and did get a small amount of bullying from a select few, now naming and shaming…I wonder, was Miss Hartley the art teacher there in your time? 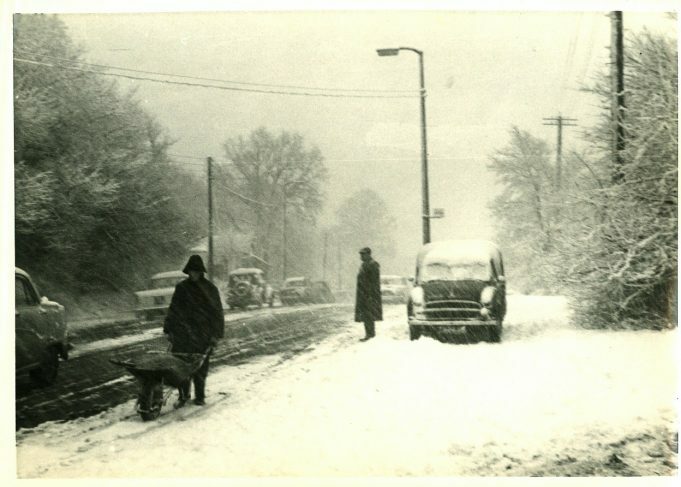 My Dad, Peter Fryer, and his 3 Brothers and 2 sisters lived in Borrowdale Road. 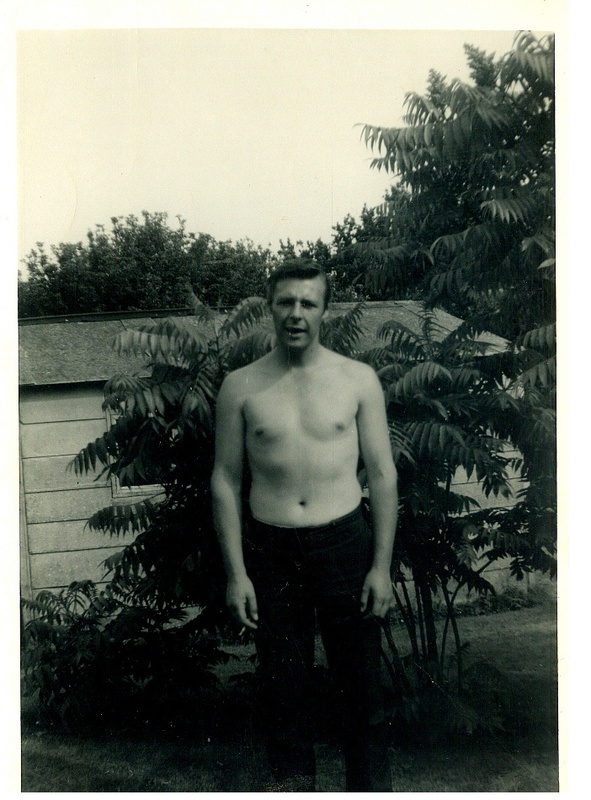 He was born in 48 and went to Sweyne … his Dad sadly died in an accident at work in 63/64… and my Dad sadly died in 1997. I would be really interested in hearing from anyone he used to hang around with or went to school with, as I love reading about the local history. You can contact me via email … Yeomanwolf@btinternet.com. I cannot tell you how much I have enjoyed reading this site. I am Alan Ransom’s eldest daughter Angela (living in New Zealand now). To read the stories of what my dad got up too when he was a youngster with his mate Alan, stories I hadn’t been told before, amazing and made me realize that Dad was a bit of a tinker in his day. My Dad Alan Ransom and my Mum Sue Ransom, bought their first house on Kenneth Road, just a short walk up to my Dad’s family home on Kenneth Road where my Nan Ransom lived. My sister Sharon and I would play in Nan Ransom’s garden and find all sorts of treasures, one of them being the old horse collar, probably from the photo of the horse and cart shown. Just a few doors from us was my Uncle Reg and Auntie Marion’s home (Reg Ransom, my Dad’s older brother in one of the photos). Happy days and this website has helped me remember them – thank you for that. When I was first born, my parents lived with my aunts and uncle opposite the Davis’s in Granville in Morinville, Thundersley Park Road, next to the bungalow Addiscombe. Later these buildings were, numbered 187 and 191 and my Dad, Gordon Reed (still alive aged 91) designed and built The Chimes no 197 which was then a bungalow now a cul-de-sac. 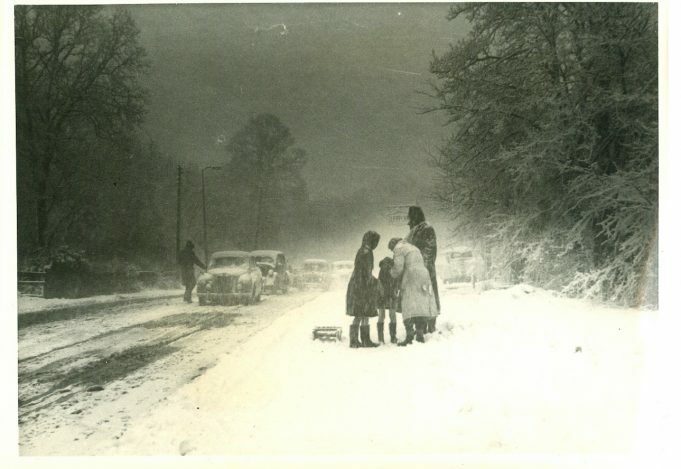 I remember well sledging on the Green Hill, taking out a shot gun and shooting rabbits to eke out the housekeeping budget, in the various fields. The piggery was unfortunately lost to an outbreak of Swine Fever and all of the Pigs were slaughtered, burned and buried on the site. There was no Badger set on the site in those days, this was further over near the devils steps. But Foxes were everywhere. They used to dig way down into the ground and drag up and eat lumps of pig skin and bones, preserved by the burning. Vic Barnes shop was regularly haunted by my brother and myself to buy and sell articles to eke out pocket money. Years later in the early 70’s he saw us wheeling a new bicycle we had just bought from Pickett’s shop a few doors away. His retort was: “Things must be looking up, you two bought something new”. Mr Foster the original owner of the bike shop had retired a couple of years earlier. Right up until this time he had an inscription on his shop “Accumulators charged” (for battery wireless sets). I was also able to buy, (from stock) Calcium Carbide for an ancient cycle lamp and parts for a 1920’s radio. He would also fit new springs into clockwork gramophones, he showed me how to wind them in by hand without using any tools. The shop had formerly been a funeral parlour. A few years ago the shop, by then a useful place for getting televisions repaired, was demolished and replaced by the present chemist. Carol Barnett’s comments above brought back many memories. In the early sixties (again to eke out pocket money) I sold pet baby rabbits for 5/- and 7/6. This was quite profitable, particularly as my parents subsidised the feed costs. The young Carol was one of my customers, I was even allowed to ride ‘The long suffering pony’. I once pushed her to Benfleet High Street in a wheel barrow to buy some hay. She would also help me pick dandelions for the rabbits. In return I got to mend punctures on her scooter. I think ‘The Vicarage’ was actually called ‘The Gables’, lived in by Mr King who I believe was a lay preacher. Graystone, from where I sold the rabbits, is now one of the very few old houses to survive in this area. Nearby, Granville, Avondale, Shotley, Clarence House, Ferndale and other distinctive old places have all been demolished and redeveloped. 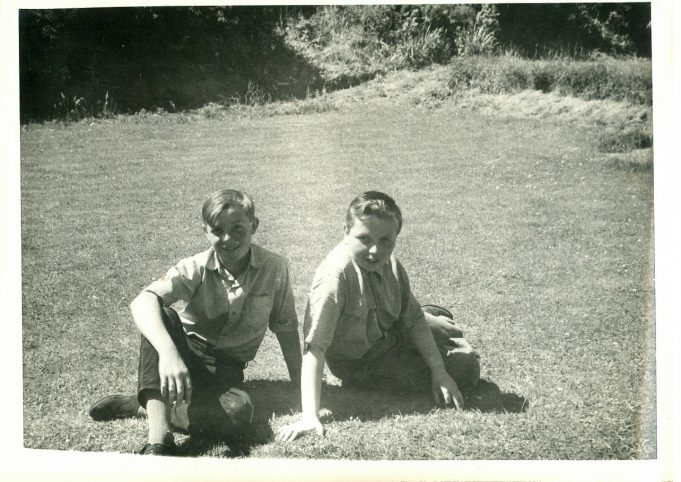 I didn’t go to King John School until September 6th 1960 but my brother could have been there then. I wonder if you remember the name of the caretaker at the school at the time of the 1953 floods. First name was Ted and his wife was May. I remember Bread and Cheese Hill too. When the green Eastern National buses got to the top on a hot day, their engines would boil over. I went to Jordan’s store with my Mum and occasionally Mrs Atkinson’s shop. There was another shop further along in Kiln Road near the footpath entrance to the Glen, it was called the Creamery next to the off-licence think an Mrs McQuarry owned it, her daughter was also a Carol. Across the road were the council offices and at the top or Kenneth road I went to the Congregational Church Sunday school and was in the girls Life Brigade. We marched around the streets on some Sunday mornings. I Went to Hart Road Primary School, Mr. Clough was the Head Master and I went to King John School. My English teacher was Mr. Ashworth and Miss Miller one of my form teachers. I left in 1964. I lived in Kiln Road above Mr. Coleman and the Butchers in a flat with mum, dad, and my brother John. Next door was Lester’s the sweet shop and the other side of us a big house and orchard, who owned that does anyone know? I really enjoyed reading this article and seeing the photos, both brought back a lot of memories. We lived in Hill Road in the early 60’s, my Dad bought a plot of land near the bottom of Hill Road, and designed and built a bungalow there. It was opposite the entrance to Pam Bannisters yard, where she kept horses, and from an early age I would toddle across the then unmade road and she would give me a ride on one of the horses and then bring me home. Pam and her family were of Romany stock, I can remember her relatives visiting them in real gypsy horse drawn wagons. 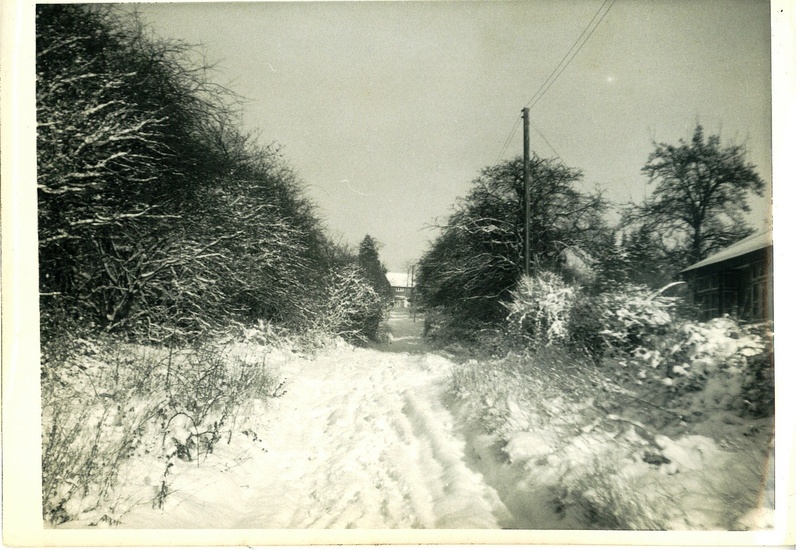 We used to go sledging on the Green Hill in the winter – risking the barbed wire at the bottom. 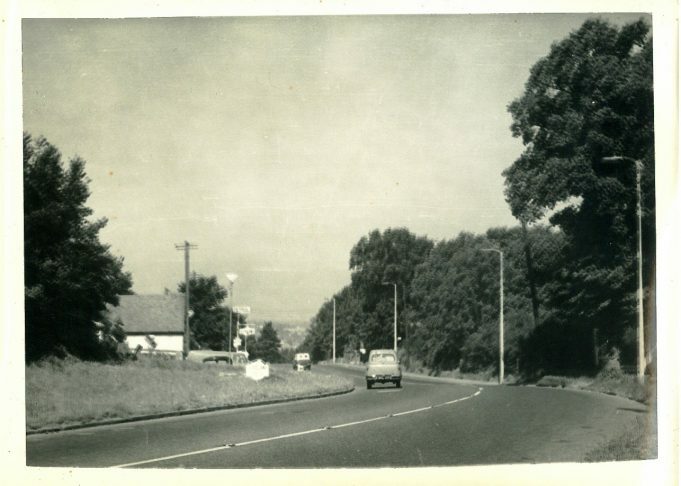 At the junction of Thundersley Park Road and Hill Road was a field we called the Flat Iron field, from the shape, when I was a bit older I used to ride my pony in there a lot. And I once rode my long suffering pony up and down the Devil Steps. The piggery you mention was abandoned but taken over by badgers, we used to go badger watching there on summer evenings.